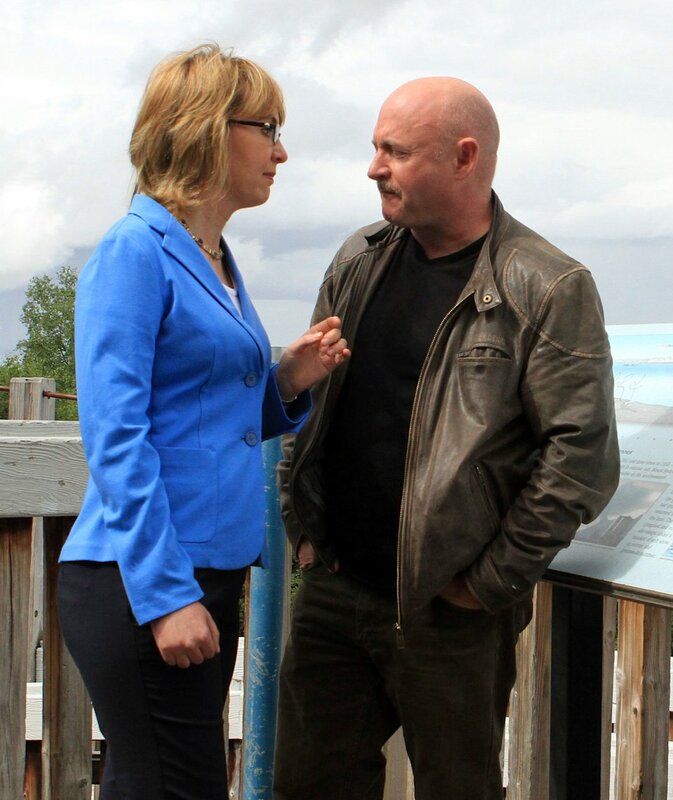 ANCHORAGE, Alaska (AP) â€” Background checks on people who want to buy firearms at gun shows wouldn't prevent all of the nearly three dozen murders a day in America or the 10 mass shootings a year, the husband of former U.S. Rep. Gabrielle Giffords said Tuesday. Some of those tragedies, however, would be stopped, Mark Kelly told reporters. "We'll prevent some of them if we take some reasonable steps that most Americans agree on," Kelly said. 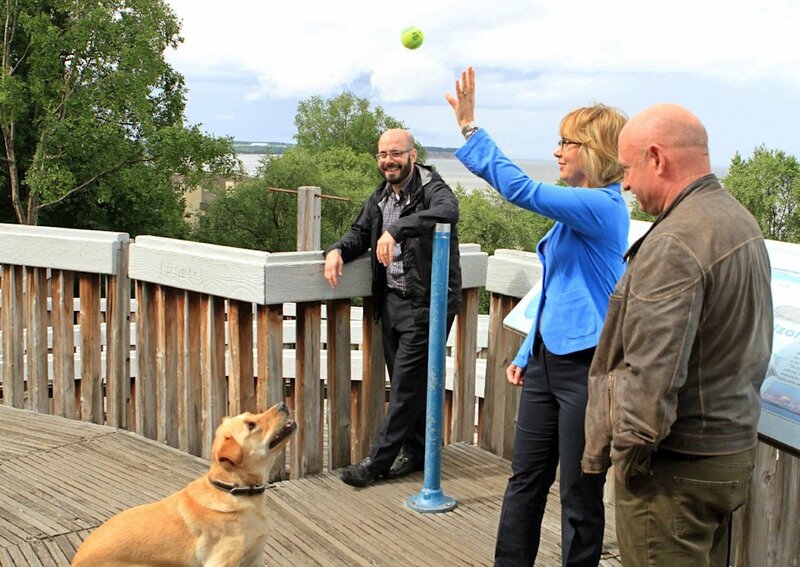 Giffords, a former Arizona congresswoman who survived an assassination attempt on Jan. 8, 2011, and Kelly, a former combat pilot and astronaut who flew four space shuttle missions, traveled to the heart of gun-rights country to make a case for expanding background checks. 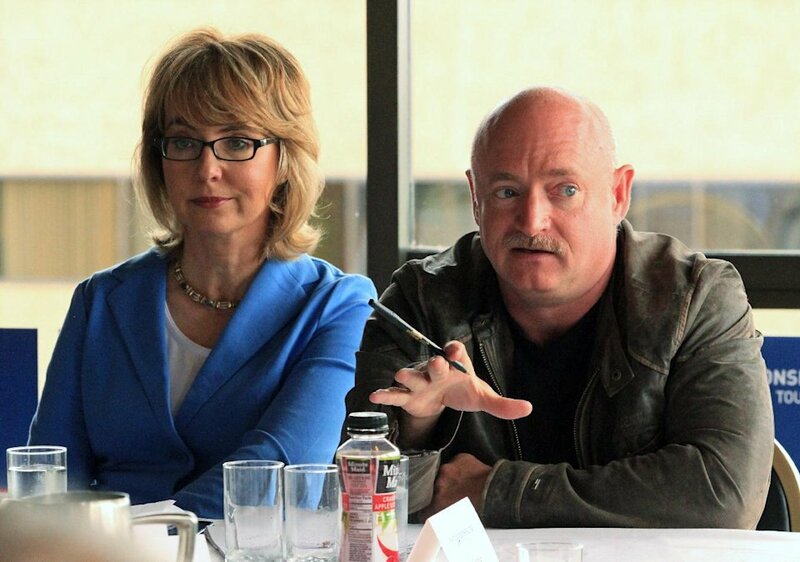 Giffords and Kelly founded the group Americans for Responsible Solutions after Giffords was wounded. This week, they began a seven-state, "Rights and Responsibilities Tour." Alaska, where visitors to wilderness areas routinely carry weapons for protection against bears, and where hunting is a way of providing food for others, is seemingly hard ground for the gun control message. Both of Alaska's U.S. senators, Democrat Mark Begich and Republican Lisa Murkowski, voted in April against extending background checks to gun shows and online sales. Begich said the legislation would have undermined Alaskans' Second Amendment rights. Kelly disagreed. Walk into any Anchorage gun store, he said, and you'll have to undergo a background check to complete a sale. 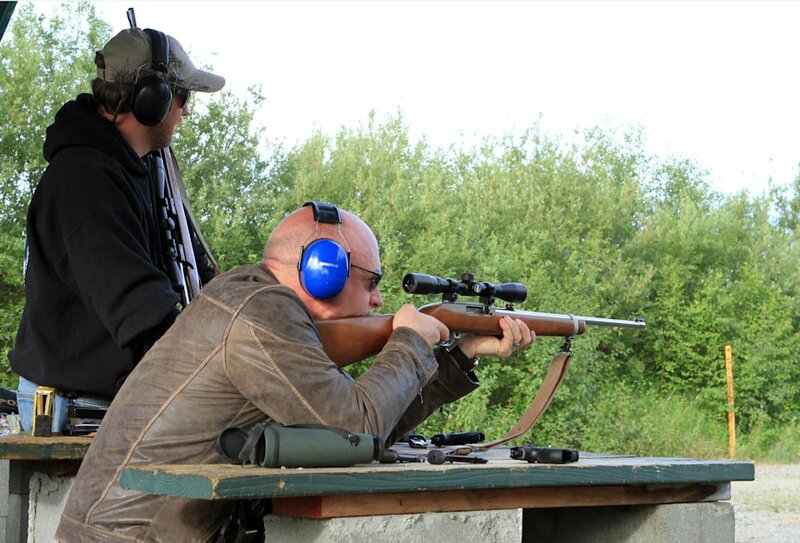 "I doubt Sen. Begich would think that's an erosion of his Second Amendment rights. So I'm not sure what that comment means," Kelly said. "Why would it be an erosion of your Second Amendment rights to do that same, exact thing at a gun show? Or if you buy a gun over the Internet?" He said polling by his group indicates a majority of Americans, including Alaskans, would like to see background checks extended to the 40 percent of gun sales for which background checks are not required. "I imagine, probably some of them," Kelly said. "We could have stopped that. How many crimes were committed? How many lives were lost?" "There was enough information there about his mental illness," Kelly said. "That should have been in the system. The problem is, even if it was, he probably would have figured out that he could go to a gun show or over the internet." Heller has said he doesn't support the measure because of fears it would lead to a national gun registry.